To mark the end of the 4th International Polar Year's official research period on the 28th of February 2009, SciencePoles interviewed Dr. David Carlson, Director of the IPY International Programme Office (IPO) about the IPY, its achievements, its limitations and itslegacies. What would the science community and the general public have missed out on if this IPY had not taken place? I think the big stories such as sea ice depletion in the Arctic and ice shelf collapses in the Antarctic would have been reported anyway. But what I hope both the general public and the science community would have got out of this IPY is the complexity. It's not just the ice, it's the ecosystems. And it's not just the ecosystems, it's the people that have been living in the North for thousands of years. So I think and hope that what the IPY brought is a sense of the complexity of the Polar Regions and the ways that that is connected to the rest of the planet. And what would you say will be the IPY's most important legacies? Interdisciplinary collaboration, bringing science to the public in real-time, data sharing, international cooperation... I hope the IPY successes (or, in the case of data, hoped-for successes) become not only our IPY legacy, but also good examples for science generally. Our success in exciting an international group called the Association of Polar Early Career Scientists (APECS) will also leave a huge legacy, but only if we manage to retain them in polar science for their careers. However, I think our biggest legacy remains ahead of us: To compile and build all the research papers and student theses and project reports into an integrated prediction skill - we have a long way to go on that, but nothing will define our legacy or maximise our impact like real prediction skill. This 4th IPY was the first to include the social sciences and to try and incorporate the study and involvement of Northern communities. Would you say this has been a success? Do you have any examples? ÀT is an excellent reindeer and pasture programme where the herders look at all the factors, including climate change, land use change, and economic change from Norway, across Finmark - all the way across Northern Russia. It's a perfect example of a project where the Northern people grabbed the topic, made it their own, and got it funded just like any other science project. The other programmes that we should be excited about are the community monitoring programmes. For example, there's a very extensive programme all the way around Hudson Bay, and another one that covers both sides of the Bering Strait where the hunters, fishermen, and residents collect their own observations and use the most modern web-based tools to record them in their own languages. My concern is that, after this burst of IPY interest and funding, they struggle to keep the activity going into the long term. There is a real new capability and engagement in the North, but the big test will be whether those kinds of activities survive us. And it's crucial that they do, because if we are going to take the messages of IPY science back into these communities, we will need those networks. You mentioned the sharing of data? What are the mechanisms that have been put in place to facilitate this exchange, and how will the data be managed and archived in the future? First of all, I think IPY researchers embraced the idea of sharing data and understood that it's good for their individual science, as much as for polar science. So I think we've made a big step forward in the attitude of researchers. Having said that, I don't think we've succeeded yet in the mechanisms, or that we now have a data system in place. We're putting data into national and disciplinary systems, but we don't know how to connect them. In fact, I think that if we don't start to do things differently, in three or fives years from now, it won't be possible to find integrated IPY data. If you're an oceanographer in the Netherlands, you know where to go for that oceanography data during IPY; if you're an oceanographer in Australia, you won't know where to find that same Dutch data. So I think that what this IPY has shown is that our international data infrastructure and our mechanisms for funding international data infrastructure are inadequate - at least for the time being. A lot of international networks and collaborations have emerged during this IPY. How can they be sustained? Are you optimistic that they will be? I think there's a lot of what I would call science infrastructure, such as the Scientific Committee for Antarctic Research (SCAR), and several strong organisations in the North - some of them regional, others international - that have benefited from IPY because it's raised the profile of the science that they have been doing all along. The question is whether we are more effective after IPY across all those organisations. We see some of them starting to plan together, maybe they are even starting to think about data together, or about holding joint conferences. But overall, I think it's too early to tell at this stage. How do you think this IPY will be remembered in the context of scientific history? How do you think it will be compared to the highly successful International Geophysical Year (IGY) of 1957-58? Already we are being asked "what have been your major discoveries?" And people are thinking about IGY successes such as the launch of the first satellite, or the discovery of the Van Allen radiation belts. They're asking: "What are the big pieces of the planet that we didn't know about and that we now know about?" I actually think that these big discoveries are not the strength of this IPY. I think the strength of this IPY is to understand how the systems work together - biological, social, geophysical - and how fast they change. This is not to say that we may not be moving towards a few startling discoveries, but I think this IPY will be measured differently than the IGY. It will be judged on the basis of how we came to understand a complex system under rapid change - something that's completely different from fifty years ago. The IGY lead to the ratification of the Antarctic treaty. Do you think this IPY could have an impact on the future management of the Arctic, especially within the context of delineating territorial waters under the UN Convention on the Law of the Sea (UNCLOS) and future exploitation of natural resources? I'm not worried at all about territorial claims in the Arctic. I think those will be resolved and that the missing parties will join the Law of the Sea, because the nations understand why they have to do that. What I do have serious reservations about is the exploitation of natural resources, and especially biological resources in the Arctic. Those have been protected by ice for thousands of years, and they are now becoming exposed much more rapidly than fisheries regulations can come into place. For example, some places have never had a bottom trawl, but will be subject to them very soon. And I don't mean only national, I mean unregulated and illegal. So I think the challenge in the Arctic - even before we resolve the territorial issues, or fully understand the trajectory of sea ice, or even have a complete understanding of the eco-system - is to put precautionary protections in place. Of course fisheries managers know all about precautionary protections. But if ever there was a place where we needed it, it's the Arctic, and it's probably right now. But do you think the IPY will have galvanised something in that direction? Yes, I do, because it got the parties talking, and because the energy of a lot of Arctic scientists will have raised this issue of protection. I think the NGOs and international pressure groups have also been galvanised by IPY. And so they should be! I think it's needed. No question. This IPY also had a big focus on education and outreach. Would you say that this was a success? Is it important for scientists to continue investing themselves in this effort, or should they go back to concentrating on what they know best, Science? I'll answer your second question first: Polar research is in a very difficult situation right now. The costs are going up, and although we received new money during the IPY, we now need to justify that. And our ability as researchers to have a claim on resources is not dependent on how many papers we write; it's dependent on public engagement. That's because every one of those ministers who make decisions about research priorities also has demands from other important fields. So for the future of polar science, we must continue this education and outreach activity, because that's where our future support comes from. To go back to the first question: How successful we have been? I do think we have shown two things: First that we can cross national borders with education, even when language is in the way. Not only is there a real enthusiasm for doing that, a lot of learning occurs about what succeeds in one country, and what doesn't in another. The second thing is that we've learned that there is a real hunger from teachers worldwide for climate information. They don't see it in their curriculum, but they do see it in the media and they want to bring it into their classrooms. So in this respect, IPY has been in the right place at the right time, but we haven't in any way satisfied that hunger, and international and national science agencies need to rethink how they are providing information, because the teachers were clearly hungry for what IPY was providing. The IPY community will meet again in Oslo in June 2010 for a science conference to focus on research findings from IPY projects. How important is this event? I think it's important because Oslo 2010 will be the "true" IPY closing ceremony. That's when scientists will have completed their IPY projects and field seasons, and it's why we were very careful not to label as a "closing ceremony" the ceremony held in Geneva for the end of the IPY research period. Second, I think Oslo is still early enough in the science process to see what everybody else has done, and for scientists to see how their data fits in with everybody else's. People will have gone partly into their discoveries and announcements, but I still think it's early enough for that cross-fertilisation to happen. In that regard, I think the timing for Oslo is almost perfect. What would you say are biggest post-IPY challenges for polar scientists first in terms of science, but also in terms of funding and logistics? The science is just as urgent today as it was when we started out. But as I mentioned earlier, the funding and logistics are going to be very difficult. The cost of ships and other platforms are going up rapidly, which means we are going to have to make our case very strongly. However, perhaps the biggest challenge will be to remain in an interdisciplinary working mode. The tendency is going to be for IPY scientists to go back to their disciplinary organstions, proposals, and journals, so the challenge will be to continue working across disciplines. And this isn't just for the political correctness of it, but because the questions we are asking about the polar environments are by definition interdisciplinary. Of course, this also applies to other fields of science, but it's especially inherent to IPY and polar research. What will happen to the IPY International Programme Office (IPO) in the run-up to the OSLO 2010 Science Conference? Who will be in charge of maintaining the momentum? I wish I could answer that question! What I can say is that although we are still missing a few pieces, we are hopeful of funding to keep the IPO going until OSLO 2010. Both the sponsors and the community would like to see this happen. As the Director of the IPY International Programme Office, you have travelled the world as the main cheerleader and public face of the IPY since before it even started. How will you look back on this time and great personal investment? Would you do it again? In many ways, IPY was the most complex and the most challenging, but also the most enjoyable experience I could imagine. Speaking very personally, I would say that my career led me to this, and even so, it proved to be quite remarkable. Would I again invest this much time and energy on behalf of the Polar Regions? Absolutely, I'd do it in a minute. But I'd say that other people also have to be able to pick it up, and that the systems and enthusiasm that we've built also have to be able to continue on their own. Finally, when do you hope the next IPY will take place? There has been talk of a Polar Decade. How serious is this and how useful would it be? For the next IPY, I think not sooner than ten years, because we still need to learn a lot from this one, and not more than 25 years, because the system is changing too fast. So I give APECS the go on this, and I think they are saying 25 years. As for a Polar Decade, I think this idea needs to be defined. 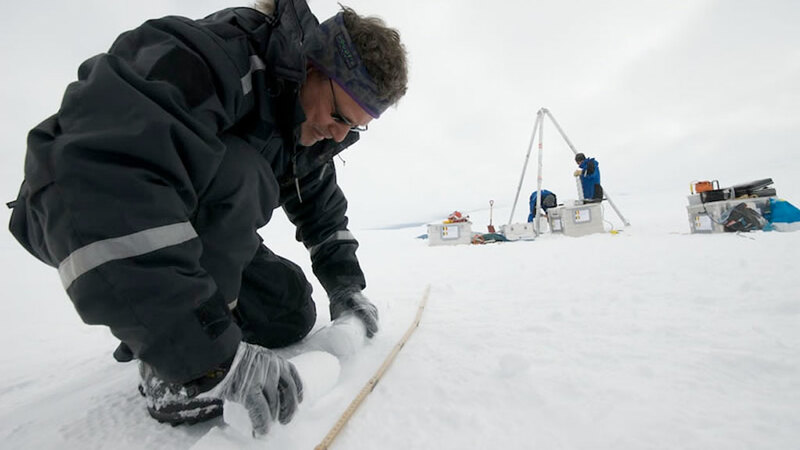 It's possible that for some of the research that we have started - on things like ice sheets and ocean circulation that have a broader time span than just two years - maybe a Polar Decade is the right thing. It's an interesting idea, but here again, we're still too close to this IPY to see what we could do or get out of a decade. Director of the International Polar Year (IPY) 2007-2008 International Programme Office (IPO), Dave Carlson was Professor of Oceanography at Oregon State University until 1990, after which he became Director of the TOGA COARE International Project Office, where he stayed until 1994. After that he became Director of the Atmospheric Technology Division for NCAR until 2003 until his time at the IPO.